You just raised $20 million in Series B funding. Is it part of a larger round? Any more investors coming on board? Sequoia happens to be the only investor in this round, at this point in time. As of today, the round stands at $20 million. I will not be able to predict the future. Could you elaborate on how you plan to use the funds? We will continue to evolve our design-based approach to working spaces, through the constant feedback we get from users. We are also looking to launch an auctioning feature, where we will package different categories of working spaces. On the experience side of things, we are soon launching a feature where users can book their seats on the move, after getting a sense of the layout and seating arrangement. You had also mentioned technological innovation as a crucial component. We will continue to fine-tune our tech approach around the ‘just-in-time’ concept, which enables booking of our work spaces from anywhere, anytime. Likewise, we are looking to introduce an element of health and wellness. Some of our new work centres, which we will be launching in the next 60 days, will have treadmill work stations and bicycle desks, where one can work while pedalling one’s way to health. We are also introducing walking tracks within our work centres. Eventually, these health initiatives will be linked to our tech platform. These health initiatives are already in the post-pilot stage at some centres. Will you also ramp up the tech team as part of the scale-up? We have a strong tech team that comprises 50 members. We don’t see the need for an acquisition or acqui-hire to ramp it up. When do you target to launch your new centres? We recently launched two centres, one in Gurgaon and another in Whitefield, Bangalore. Within the next 60 days, we will launch another seven, which will mean an additional seat capacity of over 10,000. That will take us to 28 centres in total. Which are your top markets and your next ports of call? Delhi, Mumbai, Bangalore, Hyderabad and Pune are our top markets, and will continue to be our focus. We will soon set up shop in Kolkata, and Chennai after that. 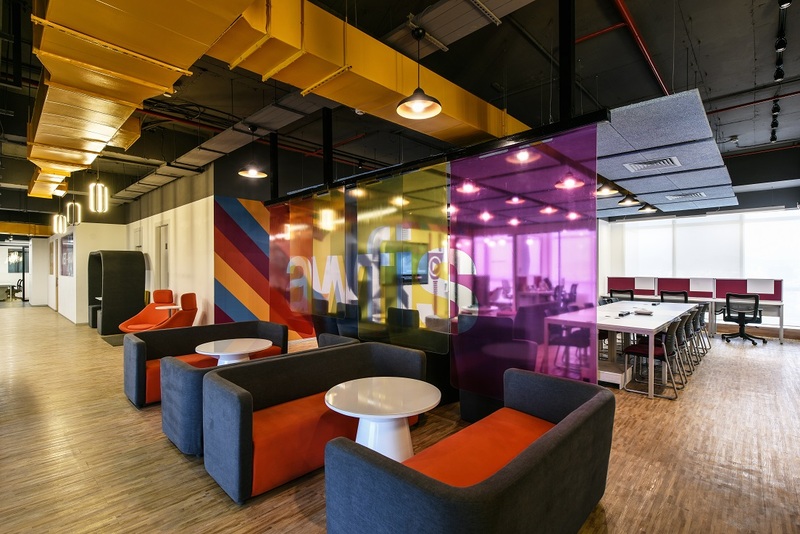 Is there enough business for co-working spaces in Tier-II cities? Obviously, at this point, business is concentrated fully in large cities and metros. The current scenario in metros has made working out of non-commercial spaces very unfeasible due to increasing regulation. That might not be the case with Tier-II and Tier-III cities and towns, where the legal aspect is still unclear. Second, rents are low in smaller cities, which affects the use case of a co-working space. We will have to wait for at least 24 months for these smaller markets to mature to even explore an opportunity. Have you devised any new revenue streams? While we continue to expand our services, the office rewards programme that we are launching could be a potential revenue source. We have struck alliances with more than 100 brand partners, including OYO Rooms, Paytm, Amazon Web Services and Park Avenue, to name a few. The focus will be on offering special discounts and offers to our community, which includes founders as well as employees. What is the road map for Awfis going ahead? We are currently Southeast Asia’s largest player in the co-working space, and we want to continue the growth trajectory. Awfis is at the cusp of exponential growth. With the current government’s emphasis on economic growth, the demand for just in time offices will also go up. How do you see competition in the light of global players like Regus and WeWork setting up shop here? Regus is the world’s biggest player in the business centre space, and not our direct competitor. In India, they have a 19,000-plus seating capacity currently, which we should comfortably surpass in the next 60 days following the launch of our new centres. Global players setting up Indian operations is only a sign of the potential of this sector and the visibility it offers. Awfis’ competitors are not other co-working spaces, but property owners who let out office space. How far are you from achieving profitability? For us, any centre that is operational for more than 90 days becomes operationally profitable, which means 19 out of our 21 centres are profitable. We hope to achieve profitability at the company level in 90-100 days. What are your projections around revenue, month-on-month and year-on-year growth? While I will refrain from getting into specifics, our revenue will rise five-fold in 12 months.